We were threatened with rain for the whole weekend. This was not good. Not only did we have a wedding in Annapolis but also an engagement session on our way up in Rapidan. I told Heather we would play it by ear and we might have to hang out in the barn for a little while. We drove up to their friends property in Rapidan about 4:30. It was gorgeous outside! I was so glad we didn’t have to stay in the barn because there were so many pretty places to take pictures! Heather & Randy are getting married next month. Their wedding is going to be so fitting for them nestled on a beautiful farm in the country. A gorgeous rustic wedding with lots of fun and laughter. I seriously am looking forward to it! An engagement session was originally not scheduled due to our schedule and distance. However, I am so glad that we were able to work it out. It gave us the opportunity to realize that Randy is not a picture taking kind of guy! lol. However, he is such a good sport and was willing to work with us for Heathers sake. He even had some great ideas during the session and also let us use his truck! I think through all the smoke…He might have actually enjoyed it! (I’ll keep telling myself that)! 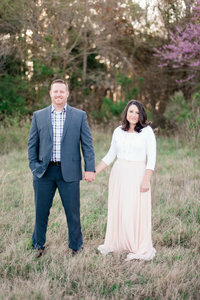 Here are a few of our favorites and be sure to check out their wedding next month on the blog! One of my favorites….GORGEOUS Heather! This one was Randy’s Idea…Good Call Randy! Love that we were able to incorporate his truck in these!